H. Peter Steeves is Professor of Philosophy and Director of the Humanities Center at DePaul University. He received his Ph.D. in philosophy from Indiana University, and he specializes in phenomenology, ethics, and philosophy of science. Steeves is the author of several books, including: Founding Community: A Phenomenological-Ethical Inquiry (Kluwer, 1998); The Things Themselves: Phenomenology and the Return to the Everyday (SUNY Press, 2006); Animal Others: On Ethics, Ontology, and Animal Life (SUNY Press, 1999); and the forthcoming Being and Showtime (2017); Beautiful, Bright, and Blinding: Phenomenological Aesthetics and the Appearance of Alterity (2017); and Political Animal(s) (2018). He has published more than 120 book chapters and journal articles, and has presented more than 160 public and academic professional lectures. Steeves has also been the recipient of a Fulbright Fellowship and an NEH grant, has been a Fellow at Princeton and Stanford, and was a member of an astrobiology research group at NASA Ames. 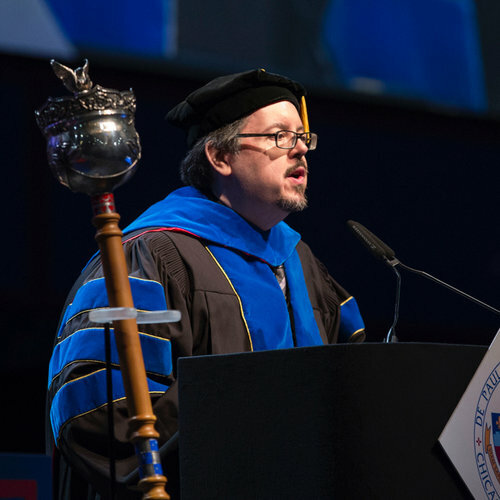 He was chosen in 2011 by Rate My Professor as one of the “Top 15 Best Professors in the United States.” His current research focuses primarily on cosmology and astrobiology—on the origin events of both the cosmos and life.